You've heard about it, you talked about it...for a long time we've been planning some sort of "celebration" compilation for our 50th release and we'd reserved the cat number SUNCD50 for it. You probably wondered why we'd jumped from Morpic's SUNCD49 to E-Mantra's SUNCD51 and then released Denshi Danshi's SUNCD52 too. Well, a compilation is more work than an album and due to several constraints, including the Apsara Festival, we couldn't make it before the summer. We reworked the concept a bit and now we're happy with the result, we can announce it for the early days of December 2018: "The 50th Parallel" which will be officially opening our 15th year as a Goatrance label! 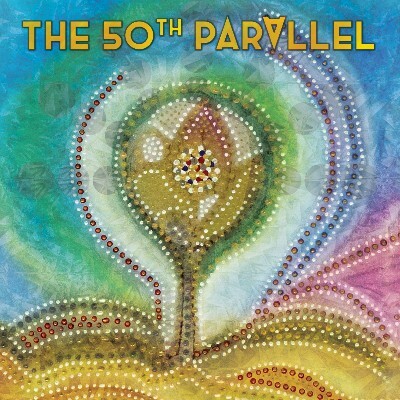 Let's cut to the chase: "The 50th Parallel" a 2-cd compilation with only the best modern goa-trance in all its facets! We decided to dedicate the first cd to the fantastic world of sunshine and melodies! You like your goa-trance powerful, melodic, emotional and floating? Then our first cd will be your taste for sure! Modern goa-trance legends such as Khetzal, Crossing Mind and Cosmic Dimension are combined with the new talents Triquetra, Sykespico, Hada, Clementz and Median Project! The second cd is something else: The moon started to shine and the atmosphere changed to something more ominous! Still powerful and somehow melodic, but with a darkish, more evil touch. Our definition of nightish music! Of course you will find our usual suspects here with Ka-Sol, Battle Buddhas or Morphic Resonance. But here also we found some amazing new talents such as Cosmic Serpent, Everything Turns, Proxeeus and Hada! So, we made sure that all lovers of different kinds of goa-trance will be happy when they press play! Just go and listen to the samples on the release page to conivince yourself! Similarly to out 10 years birthday compilation "Ten Spins Around The Sun", it will come in a nice Ecopack packaging! What else? 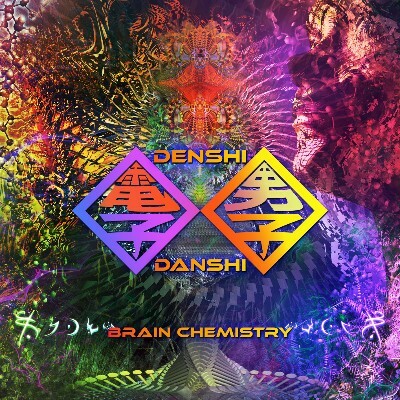 Denshi Danshi - Brain Chemistry is still very fresh. Thanks for your amazing feedback for those true oldschoolers who made a stunning come-back to the Goa scene in the past years! In our last post we mentionned a secret project for the first weeks of 2019. I still can't talk to you about that, we're working on it. And no matter what, the long awaited "Psylent Buddhi - Secrets Of The Atom" album will hit the shelves in the first quarter of 2019, followed by Celestial Intelligence's second album "Incendescent" ! Those albums are just incredible, firther proof that Suntrip and all its artists want to give you a blast to celebrate your 15th year! Celebration means also partying, and we're working hard on a Suntrip 15ht Birthday Tour. Thanks to incredible promoters who believe in us, we are planning 15 dates at least! So you can expect to see Suntrippers somewhere near you in the coming months! Oh and last but not least, we hope you saw that we already annoucned the Apsara Festival 2020 :) Brace yourselves, because we're baking a crazy line up! Don't hesiatet to RSVP on Facebook.